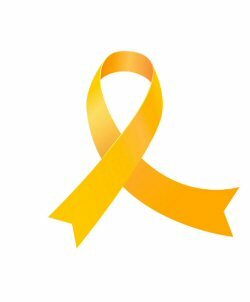 Ref: 19/2019 – Date: 14 February 2019: International Childhood Cancer Day (ICCD), which was founded in 2002 by Childhood Cancer International (CCI), is celebrated around the world every year on 15 February to reduce children’s cancer incidence. This occasion coincides with the deterioration of health conditions in the Gaza Strip and the increasing level of services that cancer patients receive, including children who were deprived of receiving the proper treatment in a clear violation of the children’s right to receive the highest attainable standard of health. According to the Palestinian Center for Human Rights (PCHR’s) follow up, patients with cancer in the Gaza Strip, an estimated number of 8500 patients, including 640 children, face difficult health conditions for ongoing lack of medicine, medical supplies and diagnostic and therapeutic devices, shortage of oncologists, and the aggravation of the ongoing electricity crisis in hospitals. The Israeli restrictions imposed on the travel of children with cancer and their companions are considered as prominent obstacles that prevent these children from receiving their proper treatment. Dr. Mohammed Abu Selmeya, Director of al-Rantissy Hospital for Cancer Treatment, which is the only hospital that provides cancer treatment for children in the Gaza Strip, said to PCHR’s fieldworker that the number of children with cancer in the Gaza Strip has reached 640 children whose ages between one month and 12 years. He added that Leukemia is at the forefront of cancers affecting children in the Gaza Strip and then followed by lymphoma and brain cancer. He stressed that the hospital faces difficulties in providing treatment services to these patients; most prominently is lack of medicines and medical supplies needed for their treatment, considering lack of Chemotherapy as the most serious problem facing these patients. Abu Selmeya added that the hospital also faces difficulties in referring child patients to receive treatment abroad due to the travel restrictions imposed by the Israeli Authorities on the children in danger of dying for no reason and for long periods up to 3 months. He elaborated that the Israeli authorities deprive several mothers and fathers of accompanying their children, who suffers from serious health conditions, during their treatment abroad. Dr. Muneer al-Bursh, Director General of the Pharmacy Department in the Palestinian Ministry of Health, said to PCHR’s fieldworker that the shortage rate of medicines and drugs for treatment of cancer has reached unprecedented levels in 2018 as in July there was a shortage in 42 types of cancer-treatment drugs, i.e. 65% of medicines that cancer patients need. He added that some of the medicines, which ran out of stocks, were the Chemotherapy drugs and the Neupogen injections used to boost cancer patients’ Immune system. He elaborated that any delay in giving this medication would lead to complications, especially that cancer treatment is comprised of a 5-medicine protocol and so the lack of any of them would fail the whole treatment process. He also said that the Israeli ban on the entry of diagnostic radiological devices needed for the diagnosis of cancerous tumors causes delayed detection of these tumors, obstructs the therapeutic intervention, and puts patients’ life at risk. It should be noted that patients with cancer, especially children, who are referred to receive treatment abroad, face many obstacles that have negatively affected their health conditions. According to the information available at the Coordination Department in the Ministry of Health, during 2018, the Israeli authorities obstructed the travel of 10,057 patients referred to receive treatment in the hospitals in Israeli or the West Bank. The Israeli authorities adopt a series of restrictions that deliberately aim at depriving patients of receiving treatment abroad; most significantly depriving patients of traveling without any reason; depriving patients of traveling due to family-related reasons; arresting patients at Beit Hanoun “Erez” crossing; blackmailing and bargaining patients to collaborate with the Israeli authorities; interrogating the Patients; delaying responses to their travel permits; disregard for patient’s appointments at hospitals and imposing tightening restrictions on the travel of patients’ companions. On the other hand, the political division increasingly deteriorate the standard of health services provided by hospitals and medical centers to these residing the Gaza Strip. The chronic shortage of specialized medical staff and the Palestinian government failing to allocate new posts in hospitals in the Gaza Strip and cutting the salaries to 263 employees working in the Ministry Of Health in Gaza during February, have negatively affected the quality of health services and put patients’ life at risk. The employees, whose salaries were cut, are the backbone of the health sector in Gaza as they represent 67% of the medical specialists and 28% of the doctors in the Ministry of Health. During the past January, Ministry of Health had to minimize its services and stop operation of some health facilities due to the shortage of fuel needed to operate the generators in hospitals and medical centers in light of the ongoing electricity crisis. – appeals the international organizations, including the United Nations specialized agencies, to immediately intervene to provide an immediate assistance for the health sector for guaranteeing the continuation of health facilities’ work in the Gaza Strip, especially the only hospital that provides treatment for cancer patients in the Gaza Strip. – calls upon the international community to practice pressure on the Israeli authorities in order to end all restrictions imposed on patients’ travel, especially children with cancer who need special care. – calls upon the international community to pressurize the Israeli authorities in order to allow the entry of all types of medicines and medical supplies into the Gaza Strip, including Radiological diagnostic devices for the diagnosis of cancerous tumors. – appeals the Palestinian Authority (PA) to resume their responsibilities and immediately intervene to guarantee the entry of all types of medicines and medical supplies needed for cancer treatment. – Calls for the importance of coordination between the department of the Palestinian Health Ministry in each of Ramallah and Gaza to guarantee that every person enjoys their right to health, including the highest attainable standard of physical and mental health.